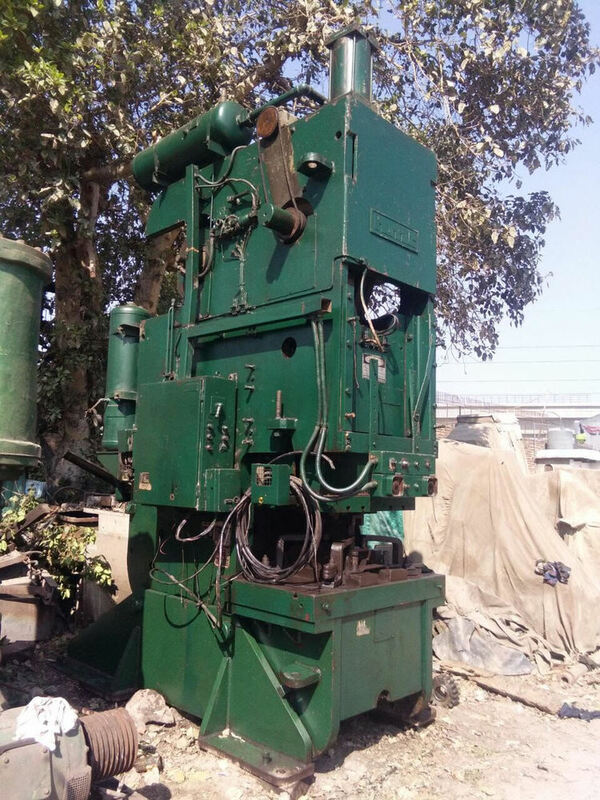 Operating from a unit in Mayapuri Industrial Area, Jugal Kishore & Co., a trading company deals in heavy industrial machinery and tool room machinery. Mechanical press is one of a kind of machinery that we keep a stock of. 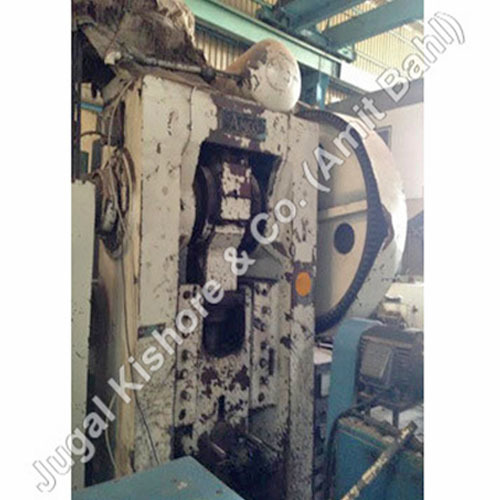 Mechanical Press Amco 100 Ton is one of these presses. A Press is basically a machine tool, widely used in workshops and production plants to change the shape of a workpiece by applying pressure. This machine tool works on three mechanisms- mechanical, hydraulic and pneumatic; and can be used for operations, such as forging, stamping, punching, etc. The mechanical press is composed of major components, such as flywheel clutch and brake, eccentric shaft, bolster, press bed, saddler bushing, counter/balance cylinder, opposed helical gears, height adjustment, etc. The metal working dies are actuated at specific speed and a actuation is cause by mechanically developed energy. This energy allows the dies to perform tasks, like blanking, forming, cutting, and more. The buyers can select the right mechanical press, from many available in different specifications. The main factors of selecting the press according to your application are die size, die accessibility and part handling, flywheel type, single geared or double geared, and work to be performed (blanking, punching, notching, perforating, trimming, shaving, slitting, lancing, bending, drawing and squeezing).